Looking for a mortgage loan? We will be glad to help! Call us in Le Mars at 712-546-4175, in Sioux Center at 712-722-4545, or in Sioux City, call our office on Sunnybrook Drive at 712-224-5400 or our office on Hamilton Boulevard at 712-224-4777. Ready to begin? Apply Here. Since 1999, lenders have been legally obligated to cancel a borrower's Private Mortgage Insurance (PMI) at the point his loan balance (for a loan made after July of '99) reaches less than seventy-eight percent of the purchase price, but not when the loan's equity reaches twenty-two percent or higher. (This legal obligation does not cover a number of higher risk mortgages.) But you can actually cancel PMI yourself (for mortgages closed past July 1999) once your equity gets to 20 percent, without consideration of the original price of purchase. Study your statements often. 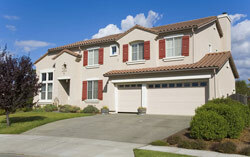 You'll want to be aware of the the purchase prices of the houses that sell in your neighborhood. If your loan is fewer than five years old, probably you haven't made much progress with the principal - it's been mostly interest. Once your equity has reached the magic number of twenty percent, you are close to canceling your PMI payments, for the life of your loan. You will need to contact the lender to alert them that you want to cancel PMI payments. Your lender will request documentation that your equity is at 20 percent or above. You can get documentation of your home's equity by getting a state certified appraisal using form URAR-1004 (Uniform Residential Appraisal Report), required by most lending institutions before canceling PMI. At Primebank, we answer questions about PMI every day. Call us in Le Mars at 712-546-4175, in Sioux Center at 712-722-4545, or in Sioux City, call our office on Sunnybrook Drive at 712-224-5400 or our office on Hamilton Boulevard at 712-224-4777.